Effective back pain management requires an understanding what back pain is and where it comes from. Back pain originates from one of several places. It can be in the muscles, nerves, bones, joints or structures of the spine. It can occur suddenly or it can be something you have dealt with for a long time (called chronic back pain). Additional symptoms for some may include numbness, tingling and burning. These symptoms are usually experienced in the extremities, far away from where the cause, in your back. It is estimated that 9 out of 10 adults will experience back pain in their life time. The majority of these are diagnosed with nonspecific acute (sudden onset) back pain. They are usually given this diagnoses without being given any reason as to why. Consider this, suppose your car is running but all of the sudden it is using a whole lot more gas than usual. Would you want to go to a mechanic that could tell you that you are getting poor gas mileage but could not tell you why? To fix it, he simply says try and dump some chemicals down the gas tank and it will run better? This is what health care does to us for back pain management. You probably would not go back to the mechanic. Yet we keep going back to the doctors, even when we do not like the outcomes. To be fair, doctors and nurses are not trained to cure people. They are trained to treat diseases and conditions. Treating back pain is no different. What if there was a better way for back pain management? At WaterCures.org, we feel there is an underlying cause. 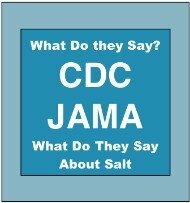 The primary cause is unintentional chronic dehydration. In order to correct this, in addition to water, electrolytes (salt) need to be consumed to get the water to the cellular levels of where pain originates from. For many, the underlying cause of back pain may include metastatic cancer, osteomyelitis, epidural accesses and adrenal fatigue. Sometimes back pain is caused by adrenal fatigue (a controversial diagnoses not necessarily recognized by modern medicine). Whether or not adrenal fatigue is real, back pain can result from consuming too much sugar at one time. We have seen patients with severe back pain and the only difference in their daily activities was the consumption of a three liters bottle of soda within the span of a few hours. This was not their usual pattern of consumption. 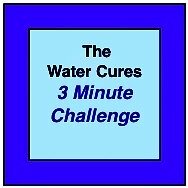 The first step for back pain management is to begin the water cures protocol. Go to The Water Cures Protocol to learn how to make the pain go away. You need to identify the cause to best be able to manage your back pain. For instance, if the cause is adrenal fatigue, the simple solution is to change your dietary habits. Ok, the not so easy solution is changing your eating habits. This is because many sugar laden foods are addictive. The withdrawal is worse than the back pain. The water cures protocol will still help you detoxify and will eliminate the cravings. Likewise, it will flush out the excess sugars and help your body get back to balance and a pain free life. Posture back pain could likewise be the reason. Changing your posture could provide the back pain help you need. Sprains and strains, improper lifting and other mechanical reasons could be causing the pain. If so, then time to heal is required. 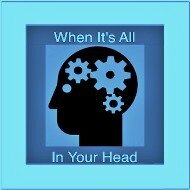 Once you identify the cause, then additional measures beyond water cures, like dietary changes, can enhance the healing and put you on the road toward pain free existence. Ultimately it comes down to the cell. 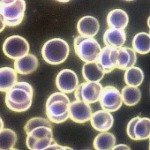 You cells are the most basic part of you. Every organ, muscle, every fiber is made up of cells. Think of your cell as a tiny factory inside a thin wall or skin (called membrane) that protects it from being flooded. Each cell is in an ocean of water, salt, sugar, fats and other elements that make up the serum solution outside the cellular wall. The cellular factory has pumps that allow the right amount of chemicals to in and out of the cell to maintain the internal ocean. 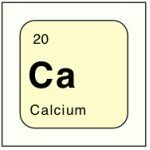 The cell needs to be neither acid or alkaline, rather neutral to slightly alkaline. The ideal is a pH of 7.4. The cell has its own ocean inside the ocean that needs to be maintained. The cellular factory, when it becomes acidic, may also become inflamed. Inflammation is a big factor in pain. When the cellular ocean becomes acid, the cells send signals of pain. The pain is your friend. Pain is tell you something is wrong so you can fix it. If you try to block the pain (pain killers), you are telling the body to turn off the pain but not fixing the problem. When you use non-steroidal anti-inflammatory drugs (NSAIDS), you are trying to end the inflammation but still not fixing the underlying cause of the inflammation. Long term use of NSAIDS causes additional problems that will ultimately increase pain. There is another type of drug that blocks the process that results in pain. It is called acetaminophen (paracetamol) and we know it as Tylenol. Although they block some kind of pains, they also introduce several other complications to healing. Some doctors refuse to put any of their patients on this type of pain medication because of the disadvantages associated with it. A perfect example, consider what happens when someone overdoses on acetaminophen. They are given a supplement that replaces the very thing that is depleted, namely GSH or glutathione. Glutathione is the bodies natural most powerful pain fighter and anti-inflammatory substance. And yet acetaminophen is given and it depletes the GSH. 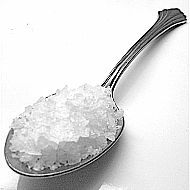 Water and Salt, A Back Pain Cure? Water cures will not help you correct your posture back pain. It will help with the pain but you will ultimately have to correct your posture. More on that will be covered in future pages yet to be created. Water helps the cells become more alkaline and eliminate the acid. Water helps reduce inflammation. 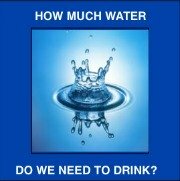 Water helps eliminate the pain by fixing the cause or helping the body heal so that the cause of pain no longer exists. Thus, water provides the ultimate back pain help. 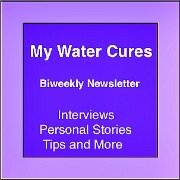 There are over 76 diseases or conditions that can be treated and will improve by using the water cures protocol. Some even say that the water cure protocol is a back pain cure. Most importantly, it is cheap, easy home remedy for back pain management.